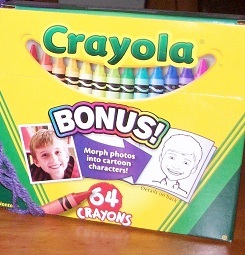 Crayons, paper dolls, Nancy Drew and Etch-a-Sketch. Scotch Broth, tons of OJ and Vicks-Vapor Rub lovingly rubbed into my chest. My box of 64 Crayolas, heaps of coloring books, paper dolls, my favorite Breyer horse and volumes of Nancy Drew and Bobbsey Twins all competed for space on my night table. And on the floor was the vaporizer with its comforting purr. This was what it was like to be sick during my childhood. I took a little trip down memory lane last week when my temperature careened to heights not seen in many-moons and my lungs went into phlegm-based revolt. To the couch I headed, equipped with serious cough medicine, antibiotics, five flavors of Celestial Seasonings herbal tea, and a BIG bottle of cranberry-apple juice. In lieu of crayons (I do have a box of the 64-count Crayola that I am saving for a special occasion), along came my Lamy fountain pen, (filled with purple ink), the second book in Ken Follet’s Century Trilogy and my computer to watch morbid Youtube videos. Even though the tableau of the sickbed setup wasn’t the same as when I was a little girl, the basics were in place and my memories filled the gaps. I projected myself back to when my dress-with-apron clad Mom brought me glass after glass of orange juice and bowl after bowl of Jello. I loved how she tucked me in tight and let me watch more TV, and later, than usual. My favorite fare was Mr. Ed, Lassie and The Andy Griffith Show. (Last week my favorite fare was HGTV, HGTV and more HGTV! ) 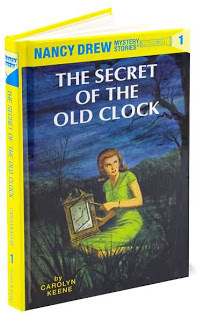 Then there were the long soul-soothing naps where nothing mattered but dreams and the promise of waking up to Nancy Drew.